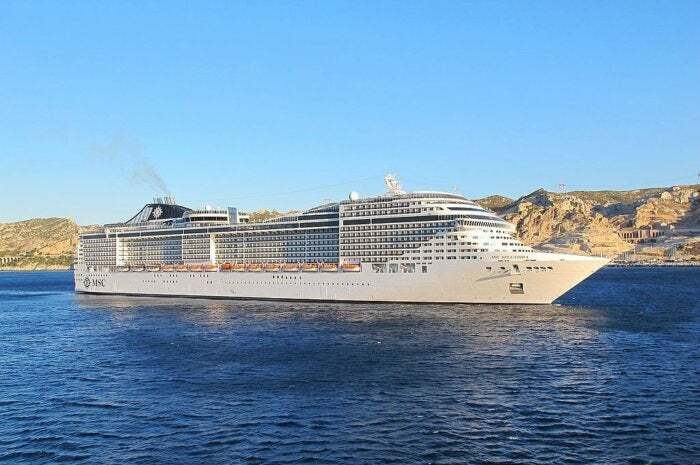 Leveraging networking technology from HPE and Aruba, MSC Cruises has modernized the cruise ship experience. Every industry vertical is being impacted by digital transformation. Most of the case studies I have seen revolve around retail, healthcare and financial services where the impact is relatively easy to measure. One of the industries that is in dire need of digital technology is cruise lines. My wife and I went on a couple of cruises recently, and everything about the experience was old. For example, the photography staff did a great job of taking pictures of us as we disembarked or going out for the evening. But instead of making the pictures digitally available to view through a portal, the cruise line printed every picture and displayed the last couple of days in a rack with anything older being filed. Finding pictures could literally take hours. If you wanted the photo digitally, they would need to scan it — meaning you had to come back the next day. The whole concept of printing a digital image and re-scanning it is ludicrous but the norm with cruise lines. This causes frustration from passengers but also causes people to buy less. I’m not picking on traditional cruise lines, per se, that’s just where my experience is. But from others, I have talked to, the cruise industry is plagued with old technology. Given the cost of a ship and the expense of upgrading, which might mean taking it out of service for a period of time, it’s unrealistic to expect a cruise line to have many of the modern amenities found in high-end hotels and other entertainment venues. 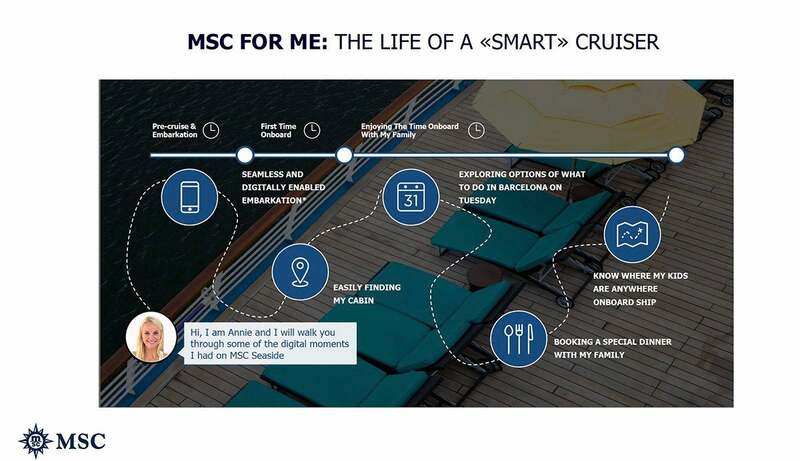 Recently MSC Cruises, the industry’s largest privately owned company that operates in 45 countries, put a plan in place to create a more modern, digital passenger experience that spanned everything from embarkation to the onboard experience. The goal was to enable cruise-goers to use their mobile phones as the control point for their experience. Digital embarkation. Anyone who has been on a cruise knows how painful the boarding process can be, as it's filled with manual processes and is time-consuming because of long lines. The digital experience from MSC lets passengers expedite the boarding process by using the mobile app to complete many of the steps that historically had to be done at the embarkation station. This also has the benefit of being completely paperless, which helps the environment. Onboard location services. The mobile app provides an interactive “blue dot” experience where passengers can pick a location to walk to and the app can guide them. Passengers are also aided by hundreds of interactive and informative digital displays. Interactive services. Through the mobile app, passengers can complete a variety of tasks, such as reserve a table at a restaurant, locate their kids, and book show tickets or an excursion at one of the ports of call. The last point, in particular, can save hours of wasted time because there’s no need to wait in line at the excursion desk. Smart cabin locks. Instead of having to carry plastic card keys that are seemingly always being demagnetized or lost by kids, passengers can use their mobile phones to unlock their stateroom doors. Personalized services. A digital concierge provides personalized recommendations based on preferences. Facial recognition is in place to help staff identify people and offer them faster, tailored services. Passengers also wear interactive bracelets to connect them to the various ship services. MSC is also using virtual reality (VR), so excursions can be previewed. Plus, the ship is outfitted with a digital photo gallery, so passengers' entire trip can be captured and viewed later. Creating this type of experience is no small task. MSC Cruises will invest more than $12 billion over the next 10 years to roll the program out fleetwide, which includes retrofitting its existing 12 ships, as well as its upcoming 11 mega ships. MSC for Me is currently available on the MSC Meraviglia and MSC Seaside. The MSC Cruise experience is a good example of how digital technologies can change the way a business interacts with its customers. The dominant companies of the digital era will the ones that differentiate through customer experience transformation. CIOs should learn from the MSC example and aim to leapfrog the competition. The other lesson from this case study is the importance of the network. Virtual reality, mobile services, digital displays and almost every other digital service is highly dependent on a rock-solid, secure network foundation.